2013 is a year full of exciting, sophisticated and stimulating wedding ideas. Are you planning your special day in the near future or have you already started the planning process? Read along to see some of the top wedding theme décor trends in 2013 that you can incorporate in your plans. Your wedding day is one of the most significant days of your life and as such you should ensure that everything is done to perfection so make the event amazingly beautiful. Following the latest theme décor trends can make your special day the most memorable day of your entire life as it should be. As each year passes and seasons change, there come new trends in wedding décor trends, wedding gowns and much more. In the contemporary world, a majority of couples are opting to incorporate fresh and tantalizing elements to their wedding rather than following the traditional way. If you planning to tie the knot in the course of the year, here are décor trends you can incorporate in your wedding to add glitz and glamour to it. One of the hottest wedding décor trends this year is the use of feathers. Ostrich and peacock feathers are beautiful feathers that come in a plethora of styles and colors. When you sue these feathers in your wedding décor then they will definitely spice up the decors in an amazing way. You can use these feathers to decorate the bridal party tables, guest tables and in a plethora of other places in the venue of your wedding as well as the reception. You can also place these beautiful feathers in strategic points to add class to your décor as well as liven it up. 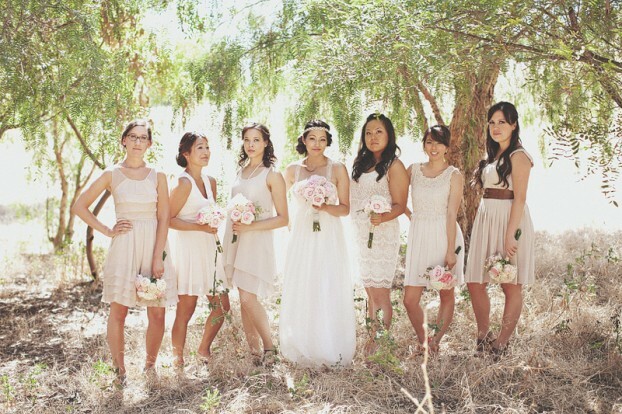 2013 is a year of sophistication when it comes to wedding trends. In the past years, majority of people were using bright colors in wedding linens but this year things are slightly different. Use of soft hues such as blush, cream, mint and other neutral shades are the trends of wedding theme décor this year. This is a classic and sophisticated trend and couples are adopting it day by day in their wedding decors. Flowing flowers are a great choice for your wedding decors. Flowing flowers helps to add a lush look of nature in your tent. You need to get a professional who will do this work to perfection to bring the ambiance and beauty that will make your special day memorable. Brass, gold, silver and copper metals are the latest trends in the wedding décor trends for 2013. Brass, gold, silver and copper helps to add glamour and sophistication to the soft hues of wedding linens. These metals add a vintage and scintillating look to the décor. When you use these metals as part of your wedding decorations you can bet that the whole place will be looking fabulous with a touch of class. Lanterns are a great decoration choice for a wedding. They help to create a cozier and sophisticated feel in your tent. They add glamour and glitz to your decors and they come in an array of colors and sizes. Shining colored lights from the ground will change the overall look of the entire event. Up-lighting is one of the décor trends that have hit the market in 2013. To enhance your décor, you can even set a timer to change the hues at various stages of the wedding ceremony. Decoration is a very integral part of your wedding and as such should be given the attention it deserves. Today, things have become easier thanks to advent of technology. You can access a lot of information about wedding décor in the internet from numerous websites. The main places for wedding decoration are Isle, Altar Podium, Entrance and Wall of the Passage. Apart from the decor trends, it is a great idea to add your personalized touch to it. You should let the professionals who are doing the décor know exactly how you want the decors to look like. Let them know the dreams you have about your special day so that they can work to meet your specific needs and make your wedding day as wonderful and memorable as possible. This article is about the top seven wedding theme decor trends in 2013. The author, Carole Peterson, is a professional wedding decorator and she works with various decoration rentals. She has established herself in this field and therefore she has a rich wealth about wedding decorations.